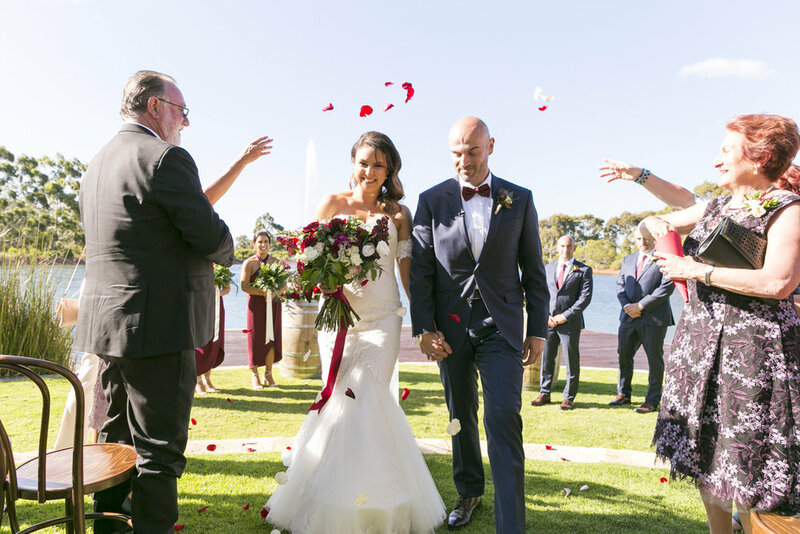 Brenton and Danelle met in primary school, but it wasn't until a bad seating plan at high school where they were thrown together in class that Brenton's charm won Danelle over, and the rest they say, is history. 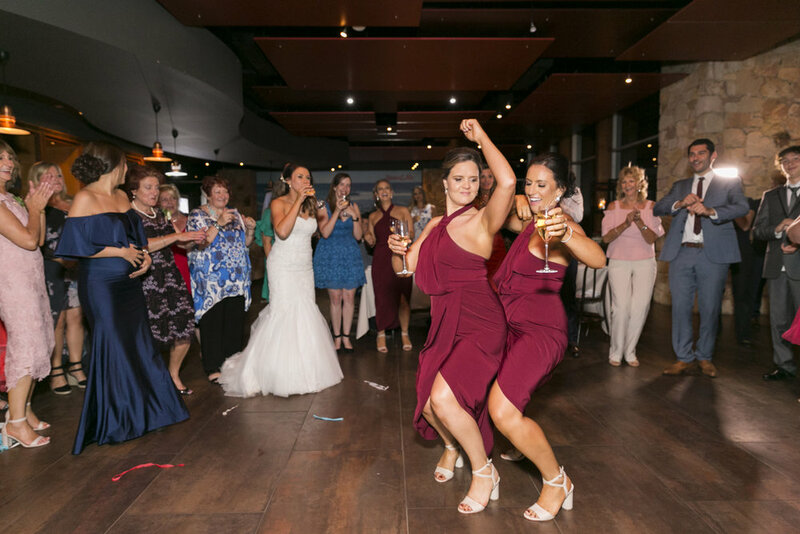 This pair were made for each other. 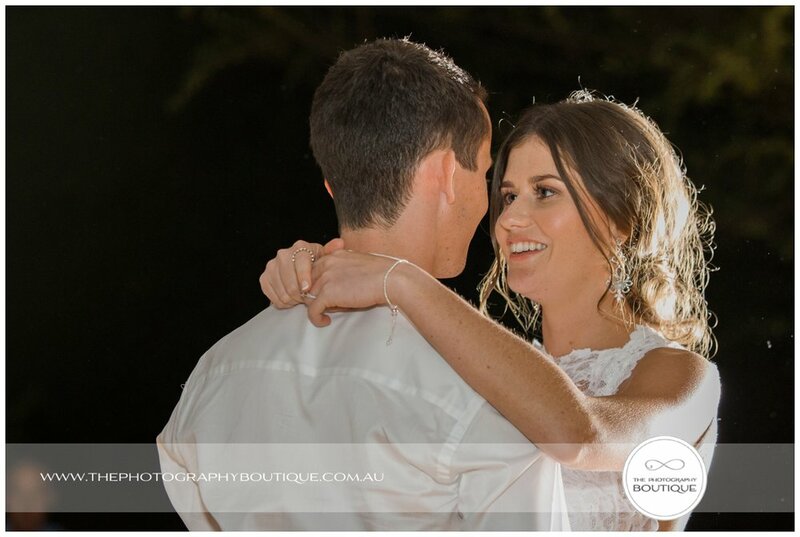 Eleven years together and still looking at each other like the everlasting light in each others lives. 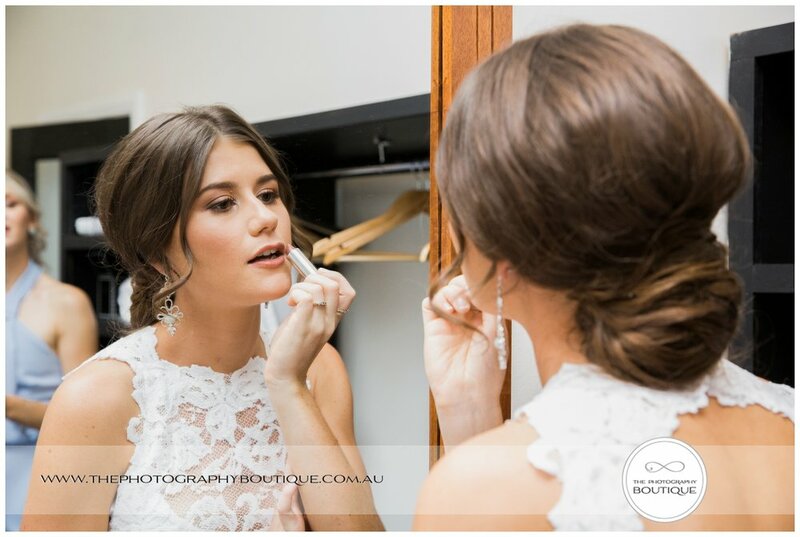 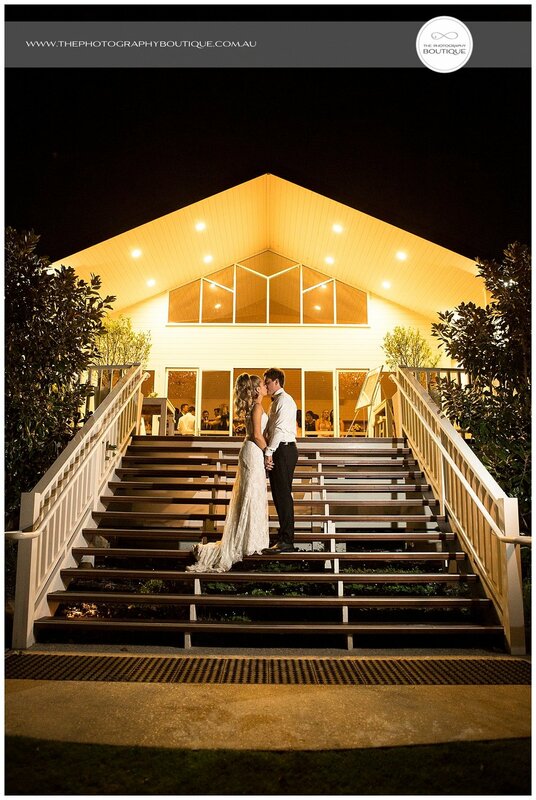 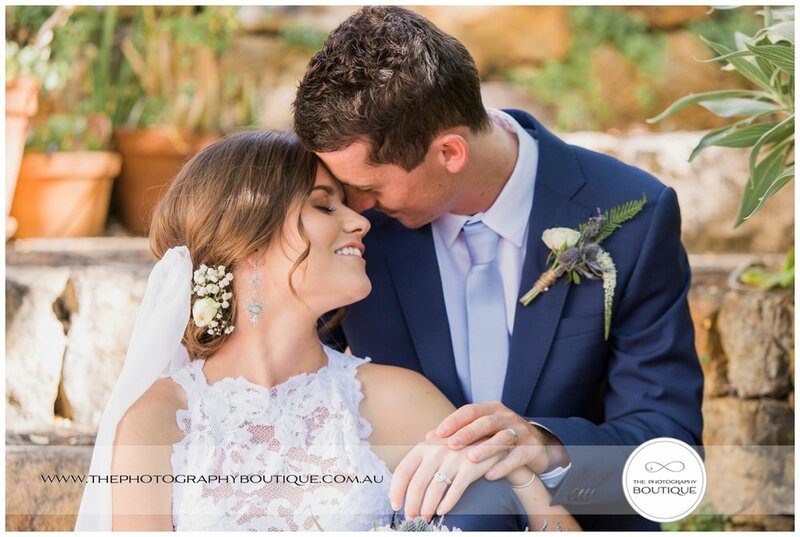 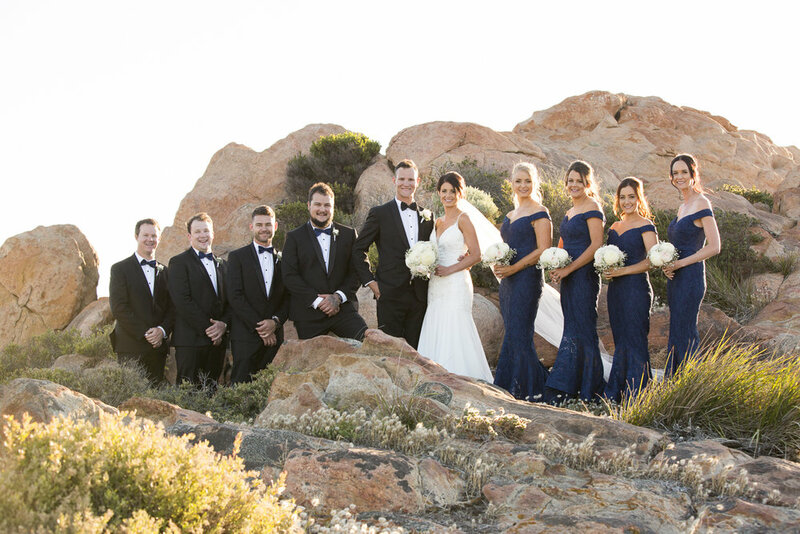 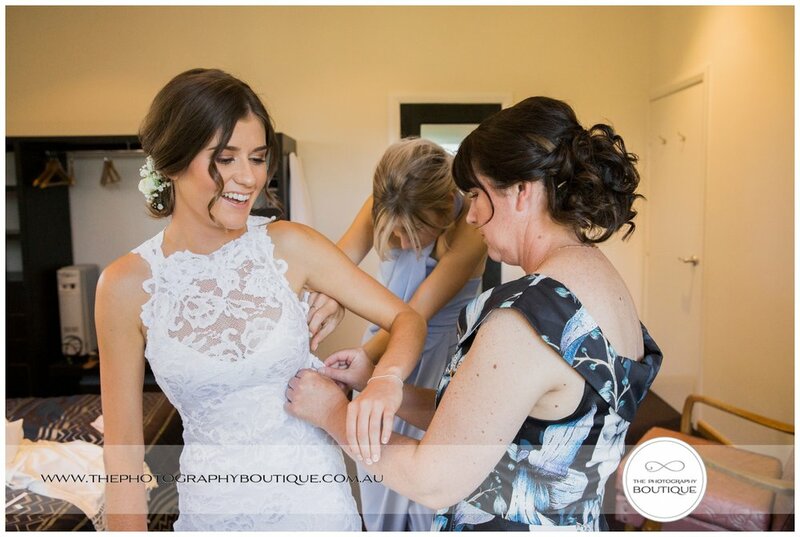 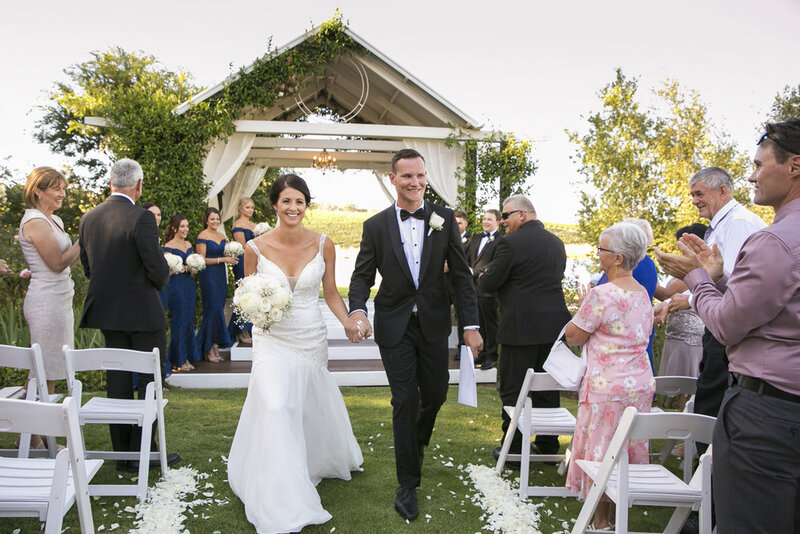 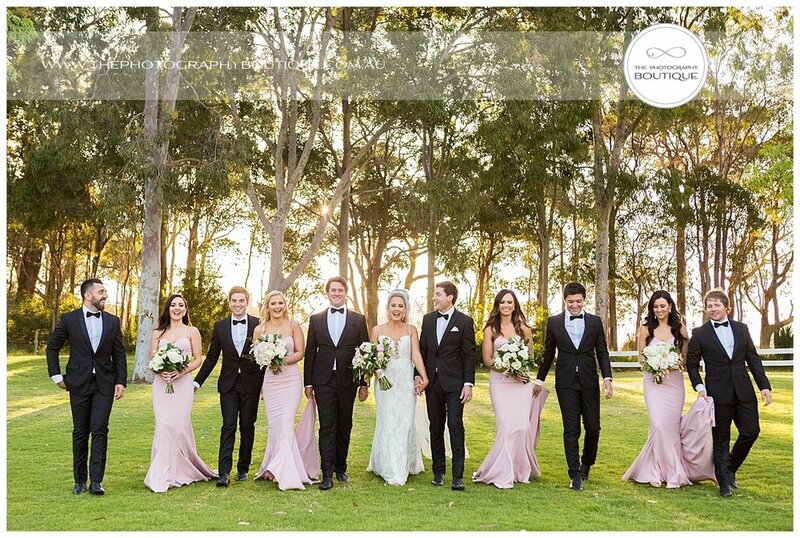 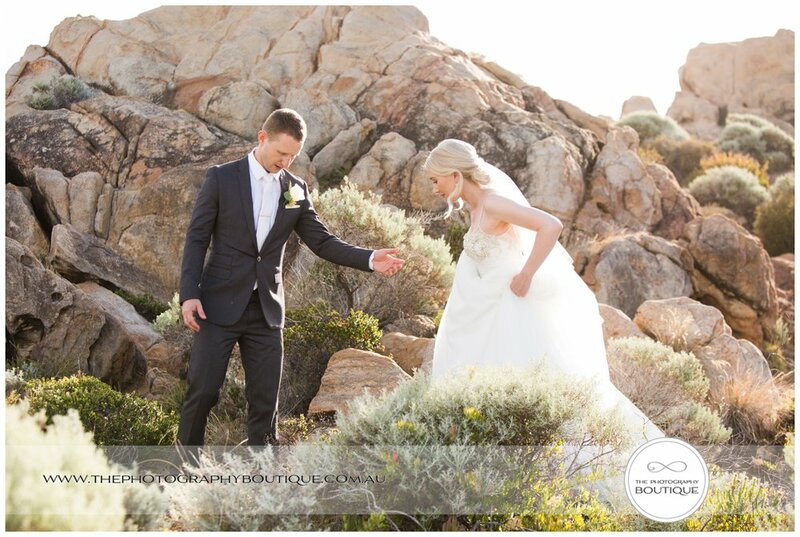 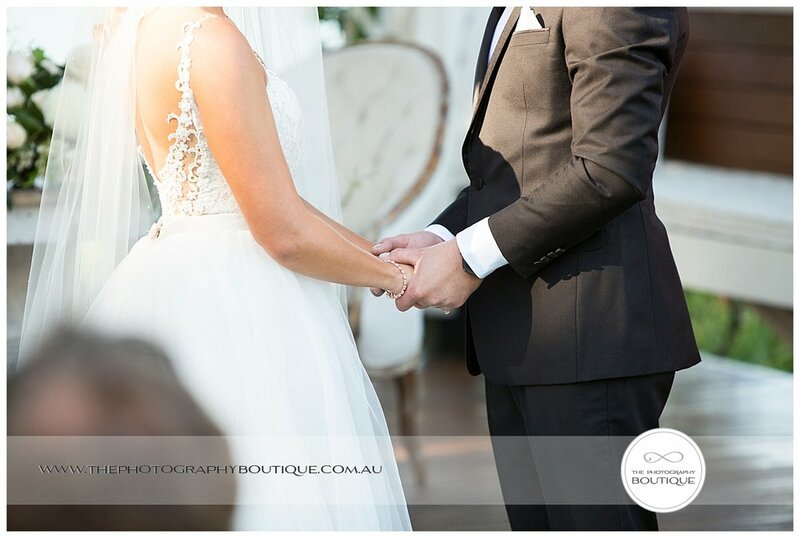 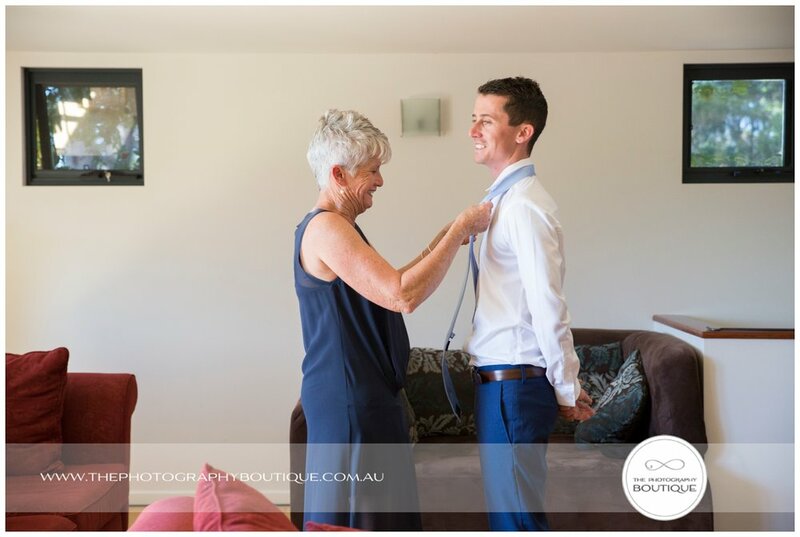 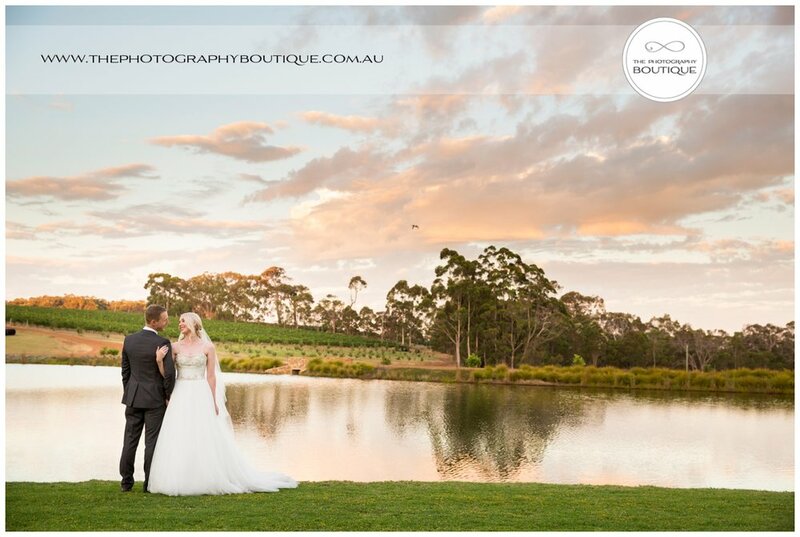 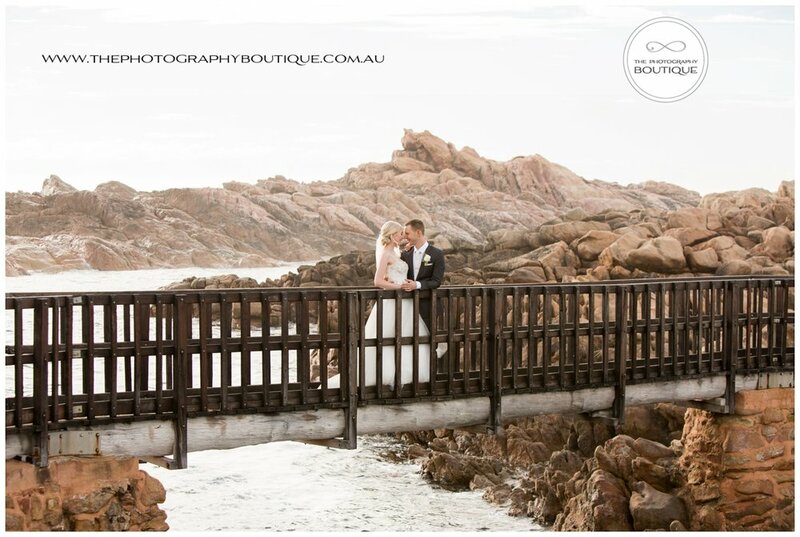 Danelle looked absolutely stunning in her custom made Raffinato Bridal dress, which had beautiful lace detailing on the bodice, and Brenton scrubbed up perfectly in his classy suit. 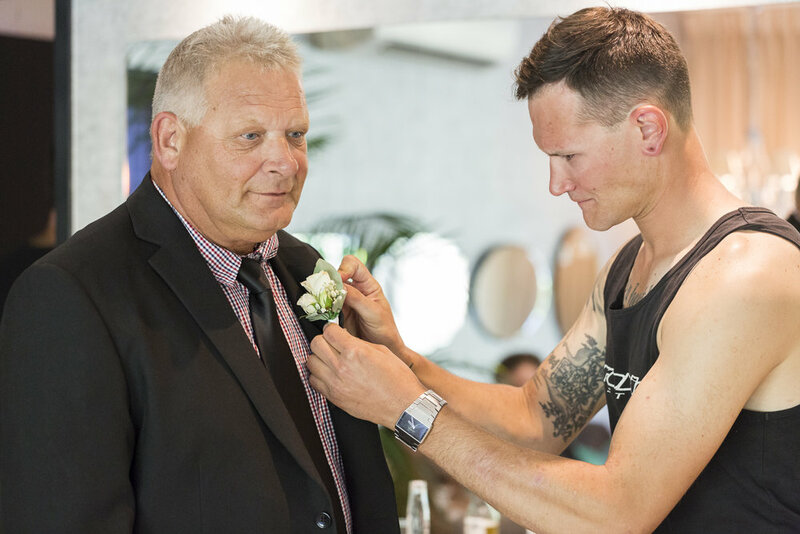 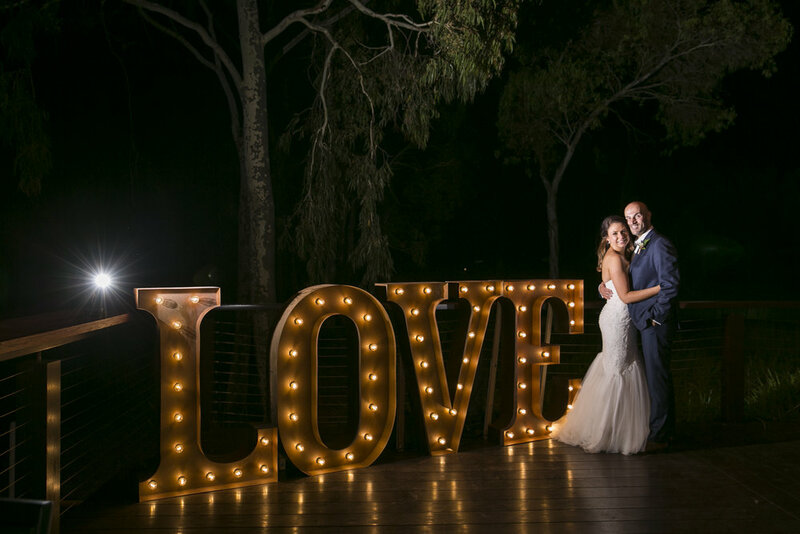 The pair DIYed their reception styling with inspiration from Pinterest...and a beautiful venue like Aravina Estate doesn't need much work anyway...so it all came together beautifully! 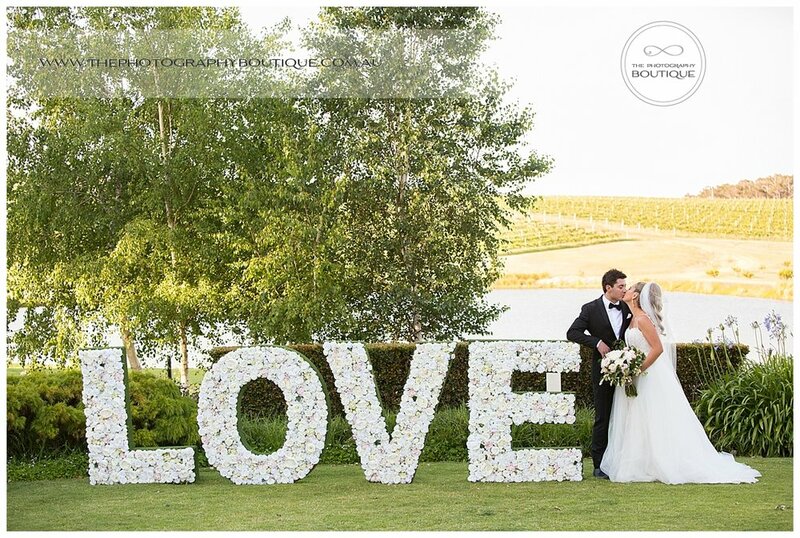 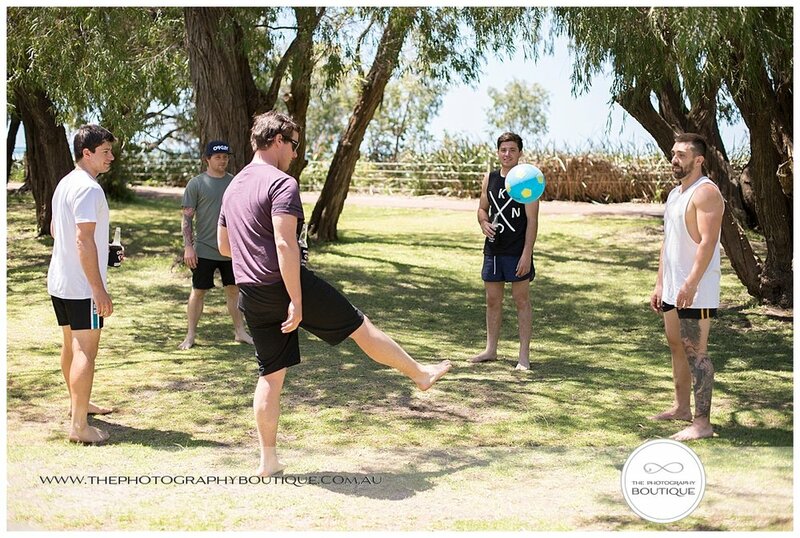 The first word that springs to mind when I think about Teagan and Stephen's wedding is fun. 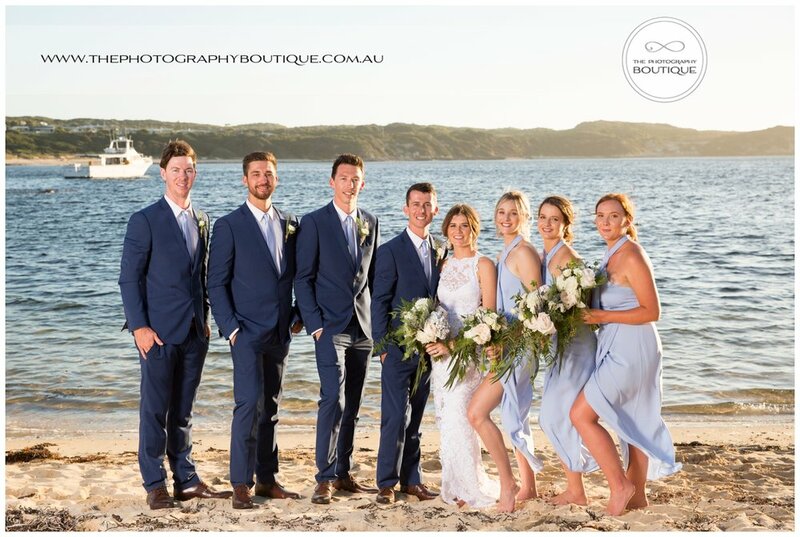 This pair were so laid back and happy, and their friends too, that we just had a fantastic day full of silliness, laughter and, well, fun! 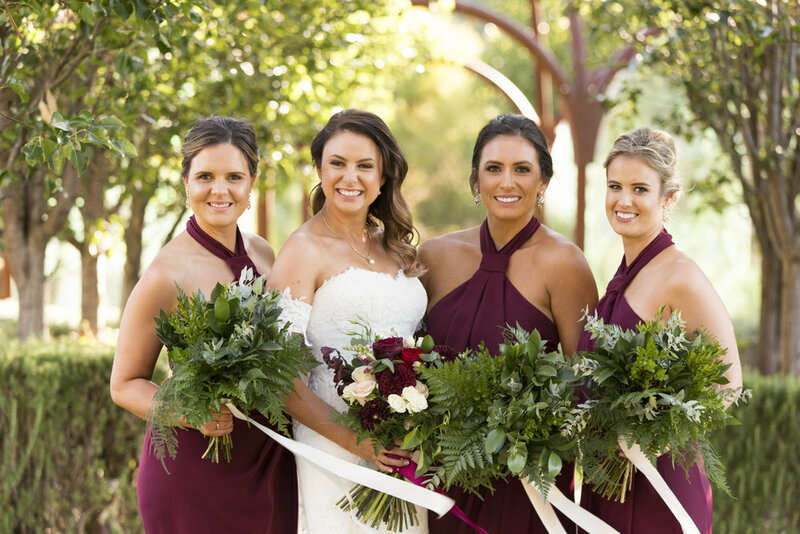 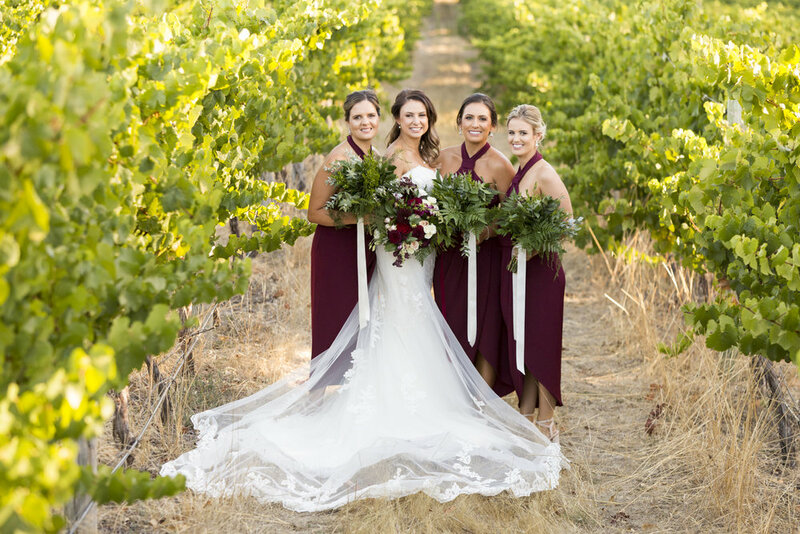 We were loving the colours of the day, the burgundy and greenery just looked amazing and the styling was beautiful. 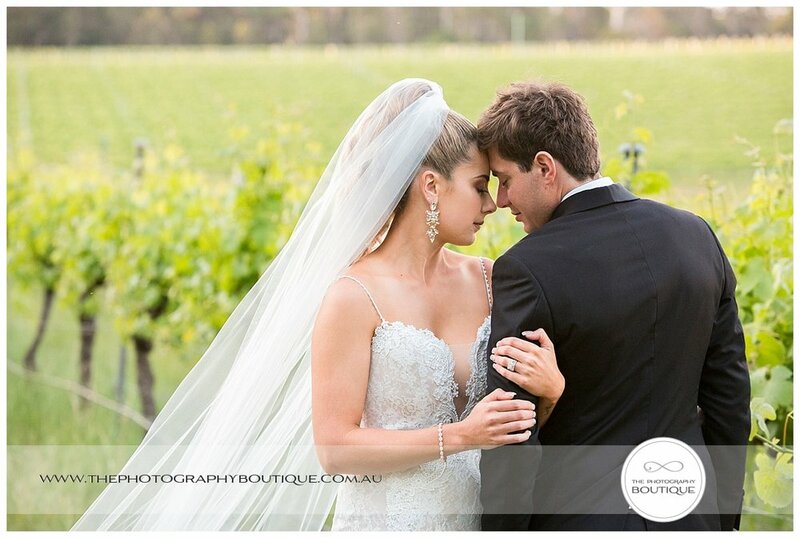 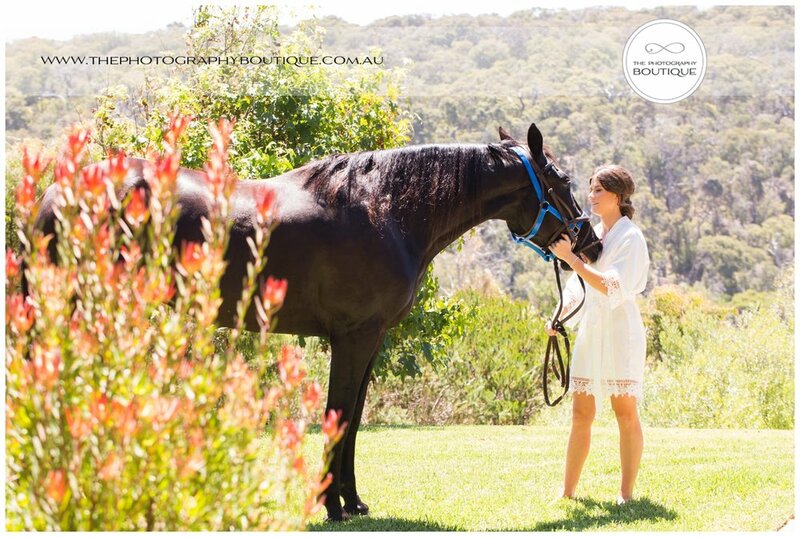 We also loved Teagan's cape - stunning! 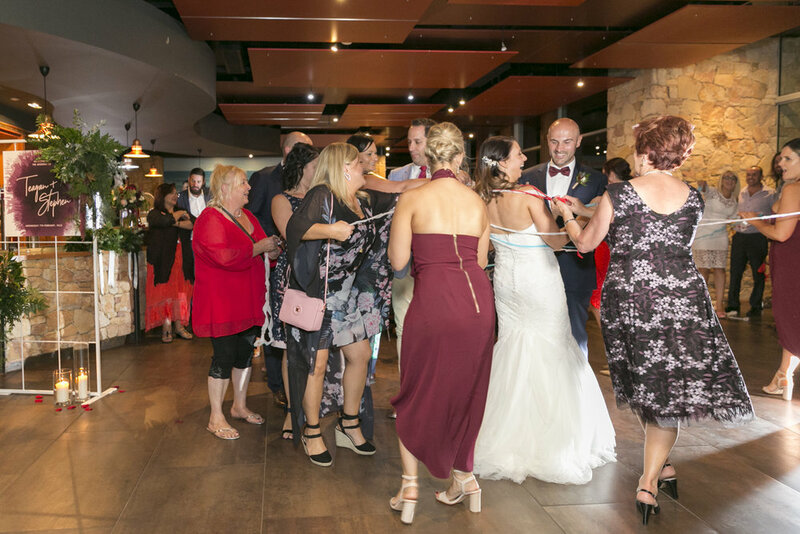 Theirs was one of the best receptions we've been to ever, everyone was up on the dance floor just having a great time and celebrating the occasion, without a care in the world. 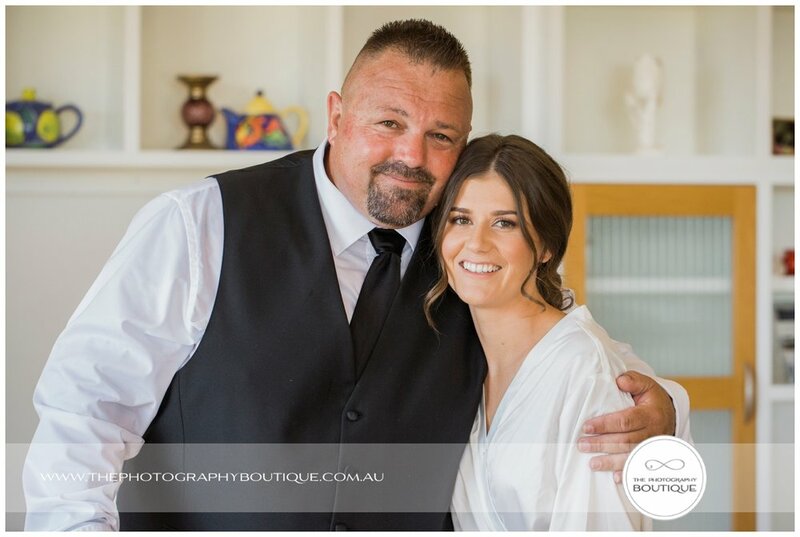 Congratulations to the happy couple, what a great day! 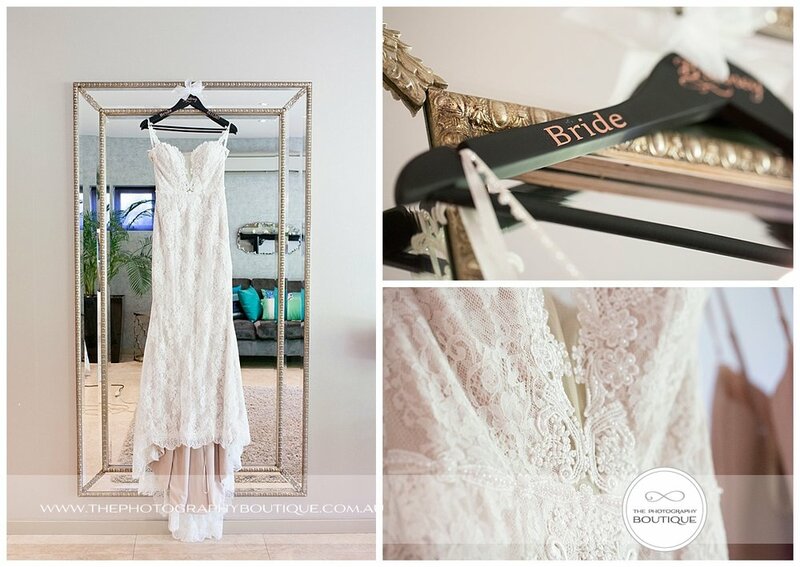 The Dress: Raffaele Ciuca Bridal. 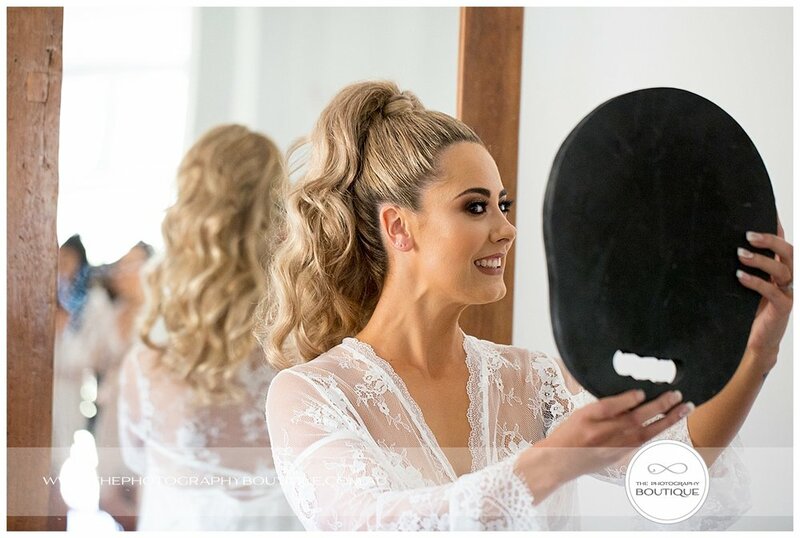 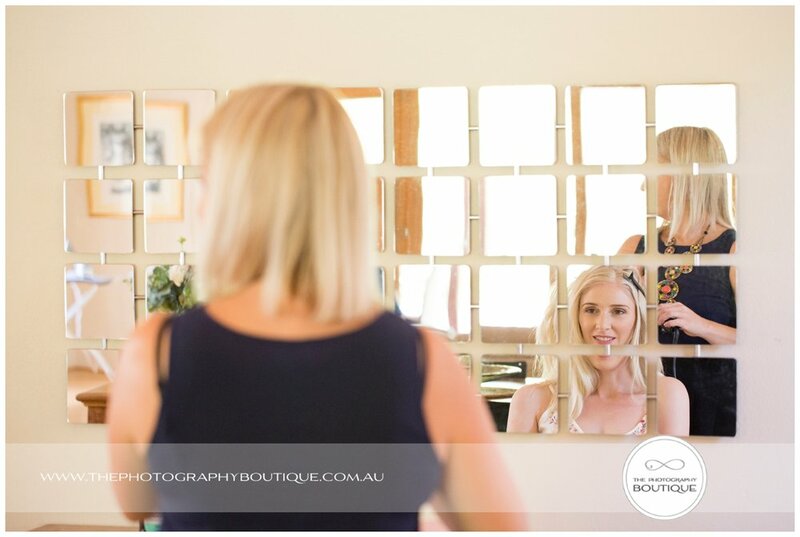 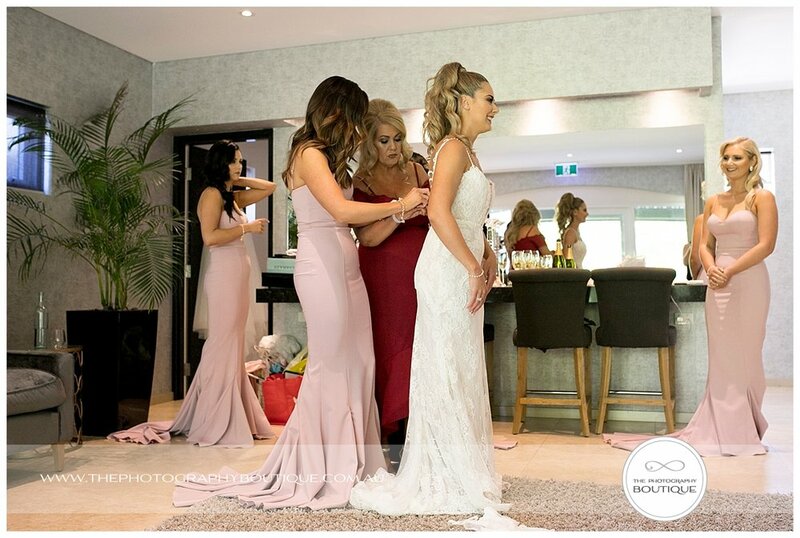 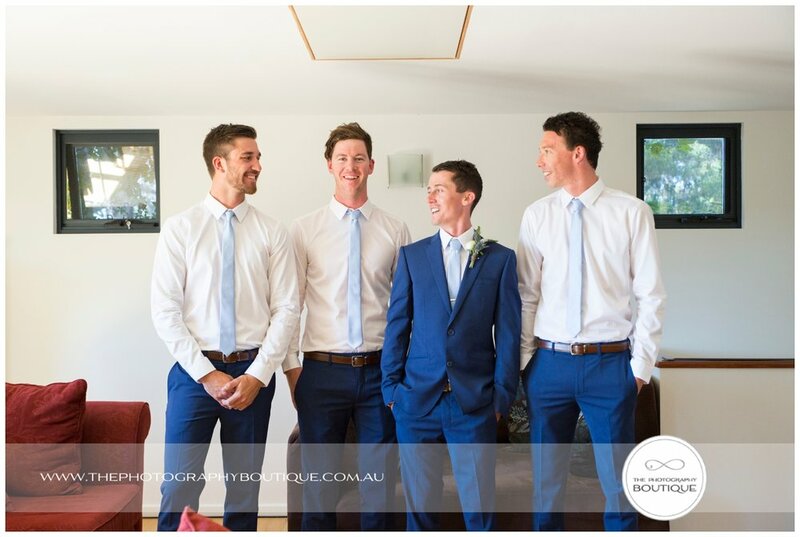 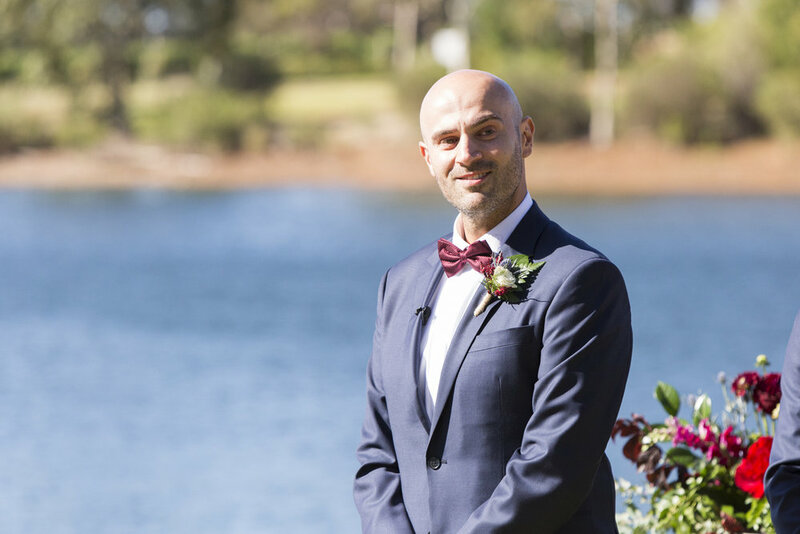 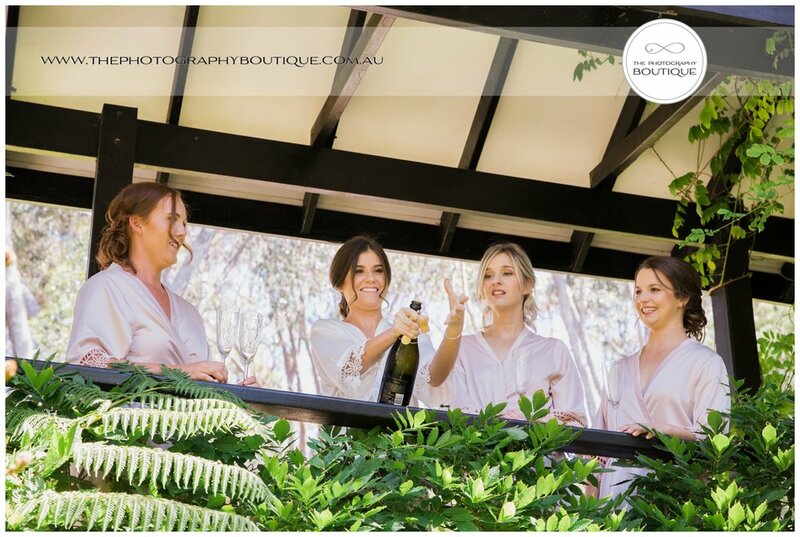 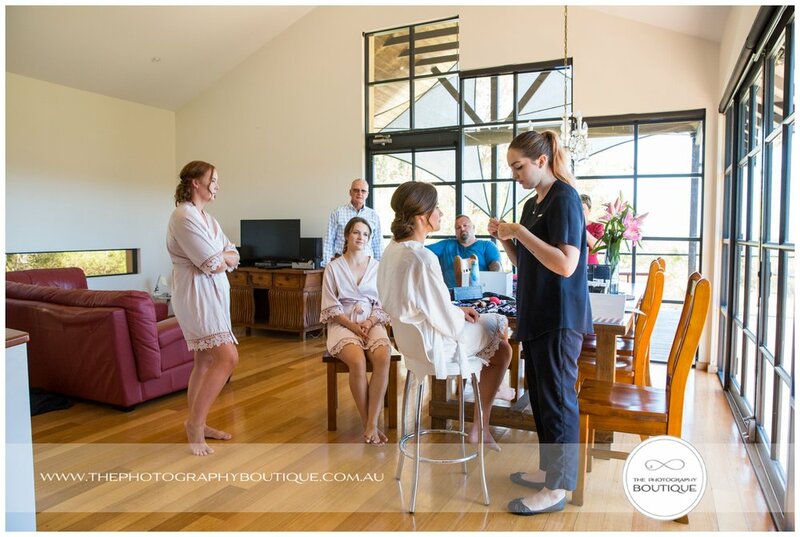 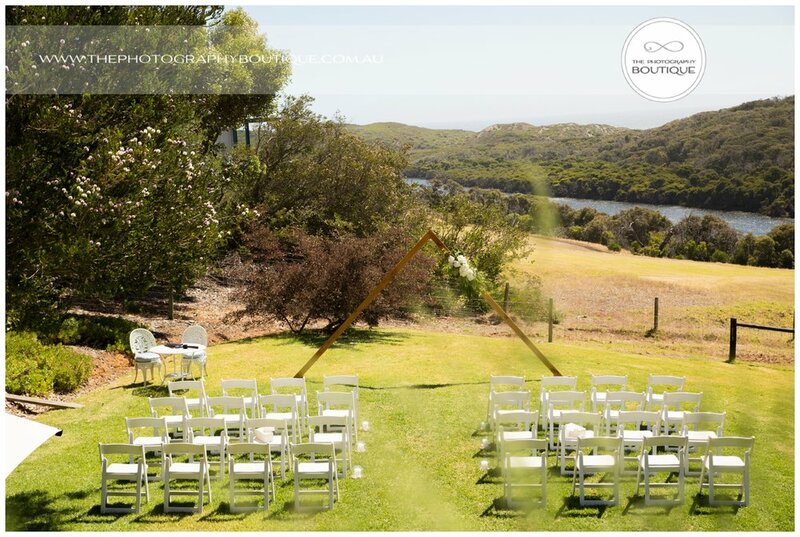 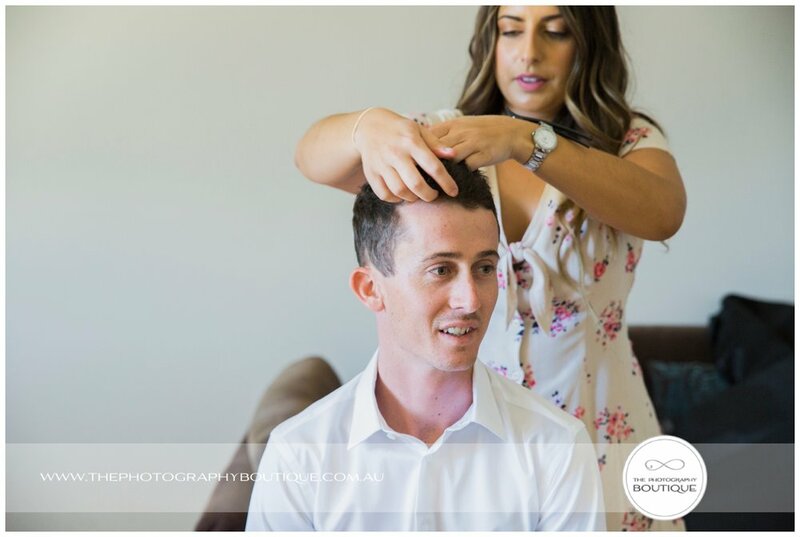 Leah and Dimitriy's wedding was an elegant day, starting off with preparations for the girls at the gorgeous Yallingup Luxury Retreat. 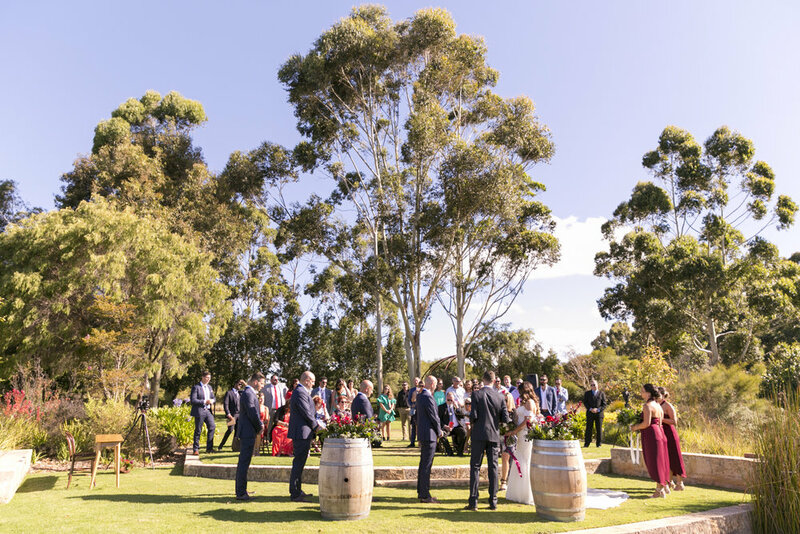 It has been a little while since we'd photographed a church ceremony, but St Thomas More Margaret River was the perfect backdrop for this lovely couple. 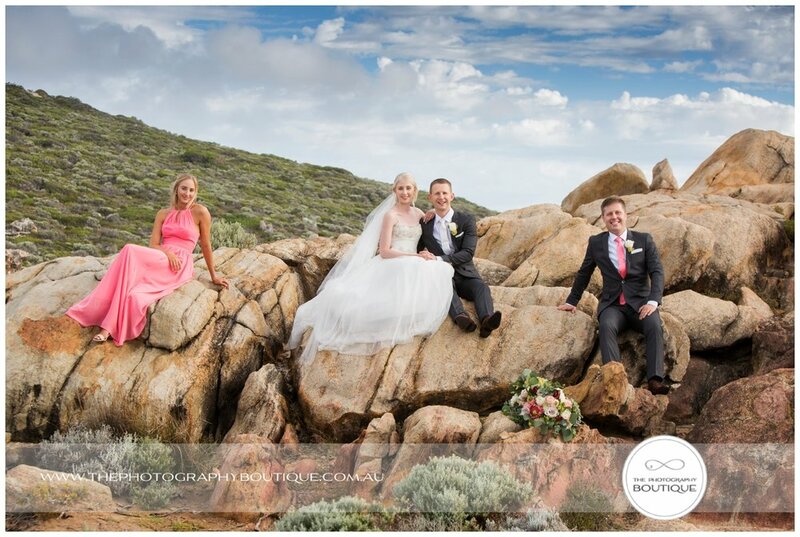 After the formals were done we took a drive up to Canal Rocks and I was super impressed with Leah and Dimitriy's total willingness to climb rocks and clamber around to make the most of the beautiful landscape and get "the shot". 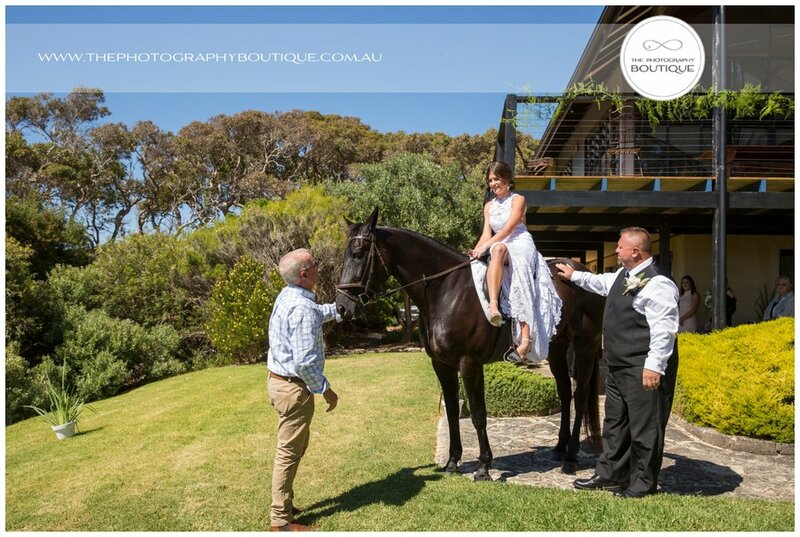 It's not always easy in a wedding dress but we love adventurous couples and it's always worth doing something a little different! 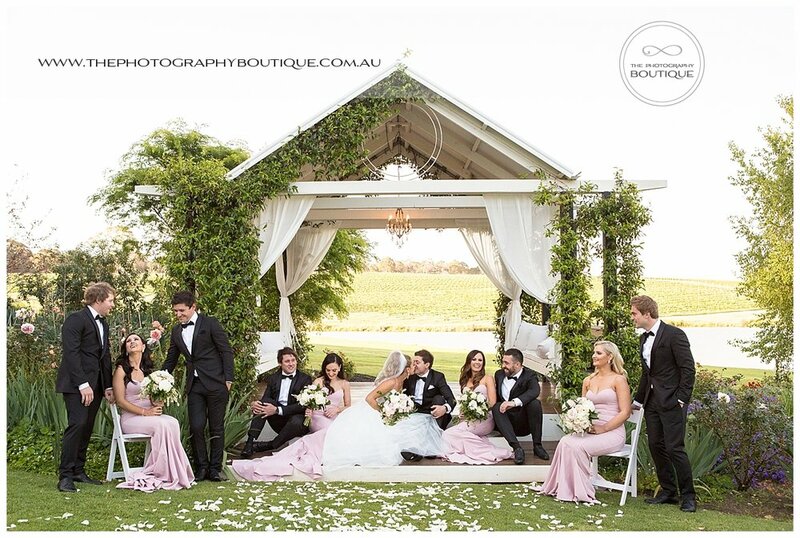 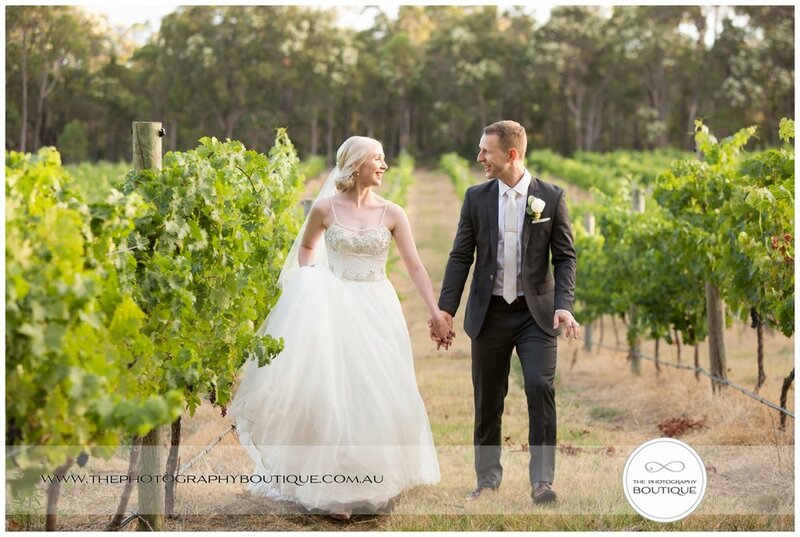 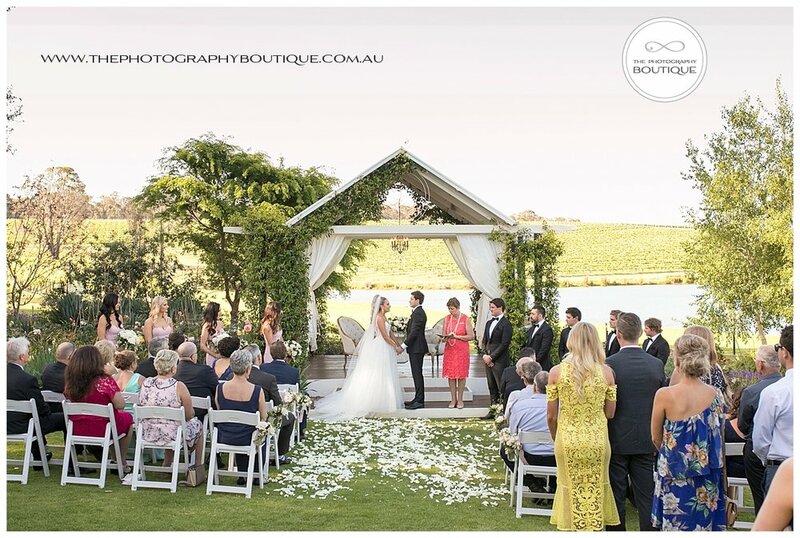 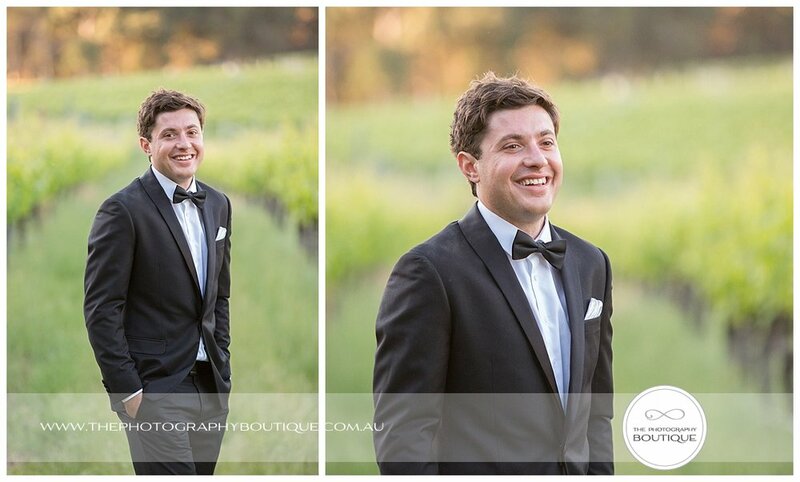 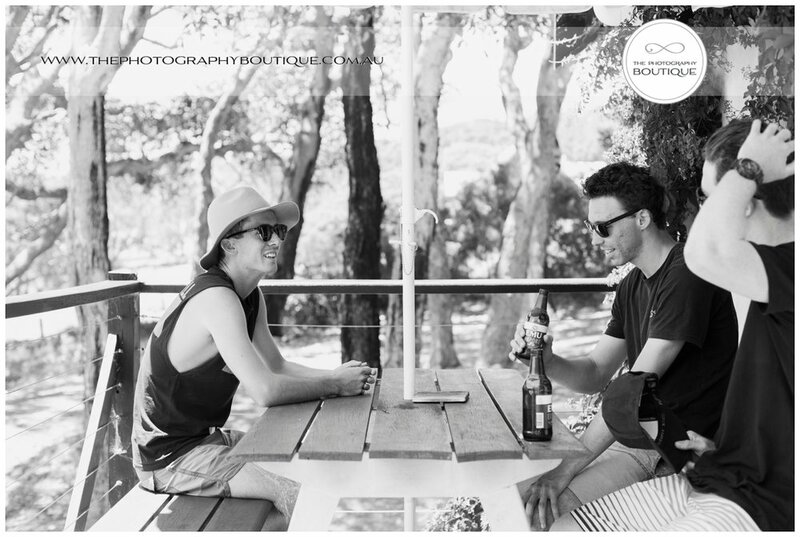 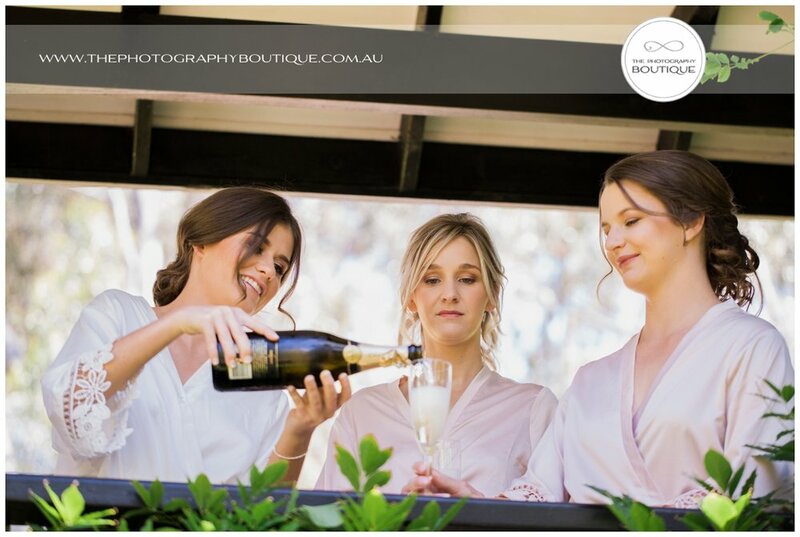 The reception was at Aravina Estate, where we shoot regularly and completely love, so we had some fun in the vines and paddocks before heading in to party the night away. 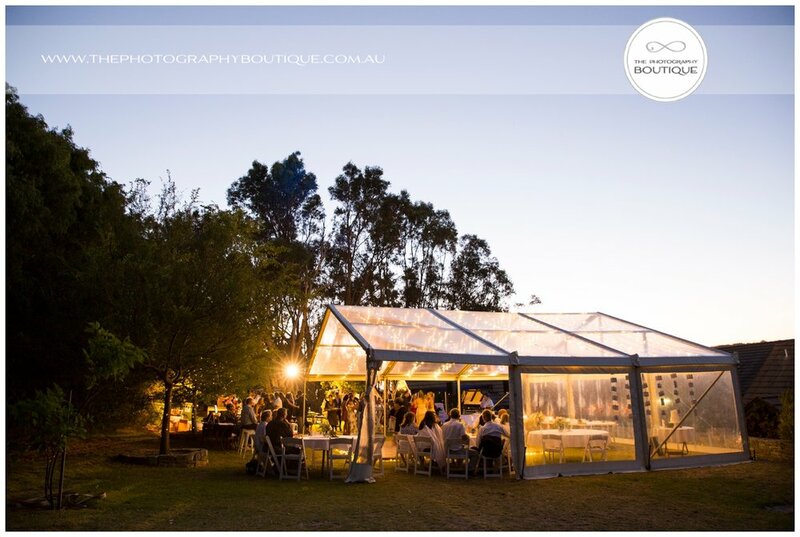 Of course our photobooth was looking completely amazing too and definitely helped add to the fun! 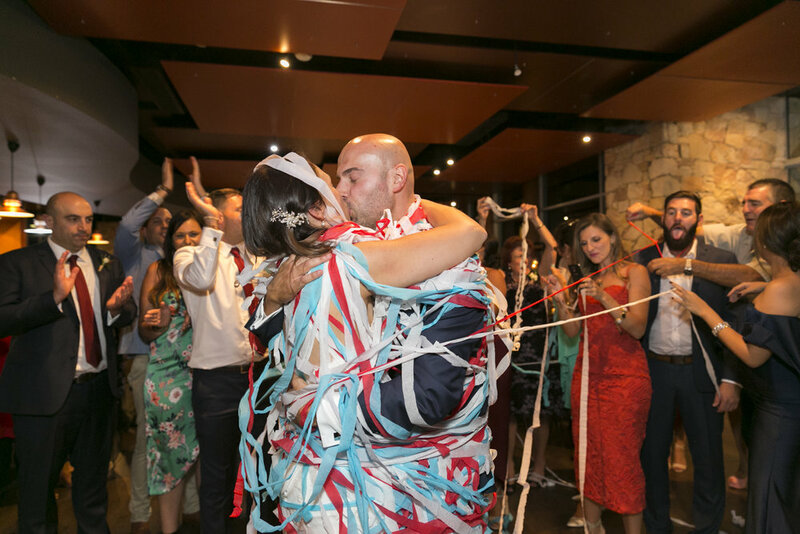 Congratulations Leah and Dimitriy, we wish you a lifetime of happiness in each other's arms. 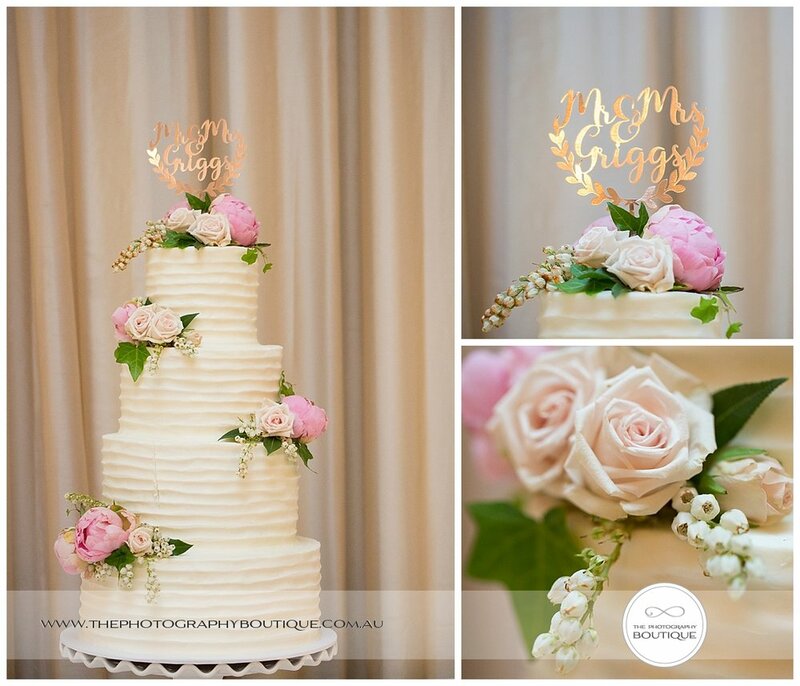 The Cake: Made by Holly, decorated with flowers by the florist. 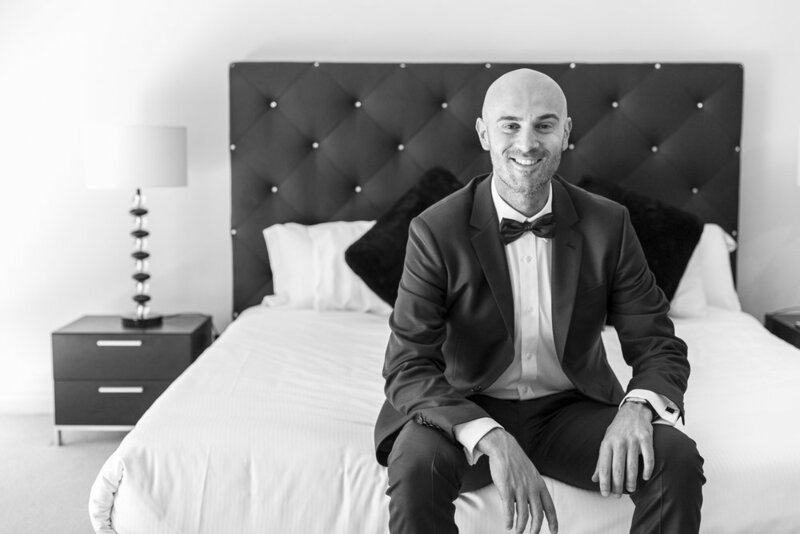 Transport: Jaguar Classic Limousines and Mr Chauffeur Bus.